We, activists, scholars, government representatives and social movements, gathered in the city of Caracas, Bolivarian Republic of Venezuela from 8th to 10th May, 2018, on the anniversary of the anti-slavery and humanitarian rebellion of the Maroon Jose Leonardo Chirino, which occurred in Las Macanillas, Falcon State, on May 10th, 1795, declared as the Afro-Venezuelan National Day. Delegates from different parts of the world gathered with the aim of discussing the topic of Reparations and finding a common strategy that enables us to translate what was discussed into concrete actions and results in the short, medium and long term. We welcome the calling of this Meeting by the Bolivarian Republic of Venezuela, and recognize the encouragement given by President Nicolas Maduro Moros and the Bolivarian government to the topic of Reparations, placing it as a line of political action that shall generate a wide support from social movements, political organizations and national governments litigating reparation cases. Racism, discrimination, xenophobia and their related forms have intensified in recent times as a result of the continuity validity of the consequences of slavery and its many contemporary effects and impacts. The trafficking of enslaved persons and slavery were recognized as crimes against humanity at the 3rd United Nations World Conference against Racism and its related forms, held in Durban, South Africa, in 2001. Joint and collective legal efforts to demand and ensure that those States that were and are legally and morally responsible for the trade in enslaved Africans (including the transatlantic slave trade) and for slavery shall make compensation for the damages and traumas caused to the African people and their descendants. Form a multidisciplinary work team to channel the legal and economic / historical process of reparations as one of the priority tasks of the United Nations International Decade for People of African Descent. 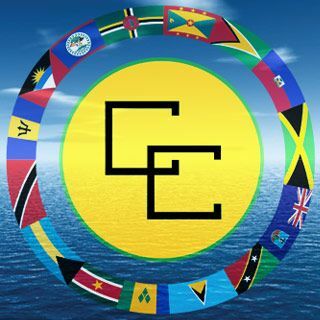 Such work team must include Governments of progressive countries, the CARICOM Reparations Commission, research centers specializing in the topic of reparations, universities, the United Nations (UN), as well as social and community-based organizations committed to achieving reparations. Create a Venezuelan Research Center specialized in Reparation Processes on Slavery and Contemporary Struggles in Africa, Our America and Europe against the dispossession of lands, rivers, religious spaces and new forms of neo-colonization, articulated to others parts of the world with virtual characteristics. Establish alliances based on the topic of reparations with the Thabo Mbeki Foundation of South Africa and others, as a strategic mechanism for the exchange of experiences, training and promotion of the reparation topic on the African continent, in Our America and in the Caribbean. Establish a “modus operandi” as a result of which our reparations movements and campaigns will ensure that the roles and positions that are undertaken will be shared equally between women and men. Promote a United Nations (UN) high level meeting on Reparations and develop a continuing strategy which allows us to make the issue a priority in different multilateral forums. Make the topic of Reparations a priority in multilateral spaces such as CARICOM, ALBA, the African Union, the Non-Aligned Movement, GRULAC, the United Nations, and BRICS, among others; and emphasize the need to consolidate strategies and tools for the effective negotiation and the pursuit and achievement of Reparations in such spaces. Include indigenous populations in this struggle. To this end, the ALBA Executive Secretariat has hereby presented a proposal allowing such articulation. Implement an international campaign addressed to the peoples of the world in general and to policy makers, in particular, with the aim of making the topic of Reparations a priority. Promote the understanding that the entitlement to Reparations is a human, ethical and political right in order that the crimes committed in the times of the transatlantic slave trade, conquest and colonization of indigenous peoples, and slavery to be definitively punished as crimes against humanity that caused social and economic inequality among our peoples. Pursue the topic of reparations as a fair demand based on justice respect and dignity and not on confrontation. Encourage social movements, relevant civil society organizations such as the trade unions to ally themselves with States and other institutions and organizations, with the aim of fostering the historical claim processes of Afro-descendants in pursuit of their legitimate rights. Recommend that the States of Our America and of the Caribbean extend official recognition to Afro-descendants and to their entitlement to their legitimate rights in the constitutions of our States, and also give legislative commitments to the implement the International Decade for the People of African Descent as decreed by the United Nations. Recognize and acknowledge the strong and firm support given by the Bolivarian Republic of Venezuela to the establishment of the Legal Multidisciplinary Team which shall be responsible for addressing the reparation cases. We, the participants of the International Meeting on Reparations, approve this Declaration on May 10th, 2018, in the city of Caracas, Bolivarian Republic of Venezuela. 223 years after the pro-independence movement by Jose Leonardo Chirino, the Afro-Venezuelan Day! Please can you include the U.K. in the action group. They took the slave trade and made it into a disgusting practise that was so inhumsne that even dogs would not be treated by them like that. The U.K. is wholly responsible and yet there is no mention of the UK or The Europeans in your introduction except for the transatlantic slave trade. Thank you.